Day 3 boasted record-breaking crowds at the Salt Palace. Day 3 drew the biggest crowd of the entire convention with the line to get into the Salt Palace wrapping around the block. Within the first hour of the general admission ticket holders being let into the convention hall, the Salt Palace reached maximum capacity, more than 70,000 people at the convention, with the Fire Marshall threatening to shut down the event. Given that there were so many people, this rendered most cell phones unusable for a majority of the convention, as the amount of people carrying cell phones, smartphones, and other wireless communication devices caused too much interference to allow any calls to get through. Even getting to the panels proved a difficult challenge, as trying to navigate through crowds that have the tendency to stop on a dime led to a few moments of frustration, even with the additional panel room created for the event. Off all the panels I went to throughout the convention, these panels were by far the most fascinating. So fascinating in fact, that they won’t be able to fit into this article. As the convention came to a close, the event concluded on a high note at the “Superhero Films: What DC can learn from Marvel” panel. Unfortunately, only two of the scheduled panelists, film critic Kenny D of showtimeshowdown.com and comic writer Quinn Johnson, known for his work on Teenage Mutant Ninja Turtles and the Kung Fu Panda comic series, were at the event, prompting the two to invite people attending the panel to come to fill in the missing slots. 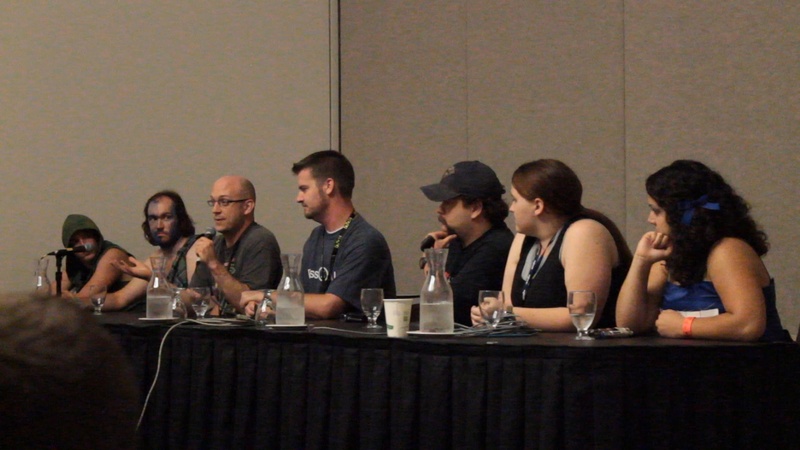 While the original topic of the panel was to discuss DC’s plans for a cinematic universe, it instead became a discussion about what people liked about Marvel and DC respective properties and films, with the panel coming to one collective conclusion; Warner Brothers doesn’t trust the material put forward by DC. They don’t expect a film that wholeheartedly embraces the fun nature inherent to superhero fiction to do well at the box office, especially when you consider how dark Man of Steel was upon it’s release. Now that the convention has come to a close with a guarantee that the convention will be back next year, allow me to speculate how the convention could evolve over the next few years. 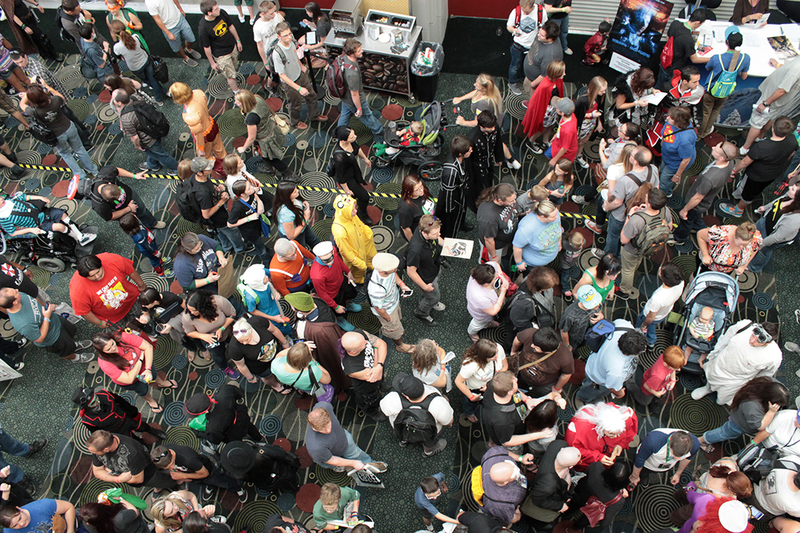 Firstly, Salt Lake Comic Con broke the record for the biggest first-year convention and was also the fourth biggest convention in the entire nation. This is something that people in both the comics and film industry may want to pay attention to if they wish to promote the very products people rally around. For example, trailers for movies and games, and even comic events, are usually announce at things like San Diego Comic Con because of their size and media attention. Given that 10% of the population of the entire state of Utah attended the event, with some people coming from other countries, there’s definitely a sizable crowd with which you can build hype for a product. As such, I wouldn’t be too surprised if companies like Marvel, Sony and even film studios like Summit Entertainment chose to hold promotions at Salt Lake Comic Con in later years, as we saw something similar with companies like Ubisoft, WETA Workshop, and Microsoft hold smaller, but present promotions. However, I must give fair warning to the con-goers that would be excited for such events, because the prospects of such promotion would cause a rise in ticket prices for the convention.While numbers for the general admission tickets would remain fairly constant, VIP tickets would be where most of the cost would skyrocket, jumping from this year’s $150 price to about as high as $475, the price for a VIP ticket to New York Comic Con. While we can speculate about the future until Half-Life 3 comes out, the biggest takeaway is that the convention, despite some unforeseen hurdles and hiccups, was a massive success. All we can really hope for the next convention is that they will be more prepared for the massive crowds, or at the very least change to a venue capable of handling the record-breaking crowds. Stay tuned to both The Globe and the Romney’s Reviews YouTube channel for a highlight reel and roundtable discussion with fellow reporters Aldo Gomez and Shad Engkilterra.